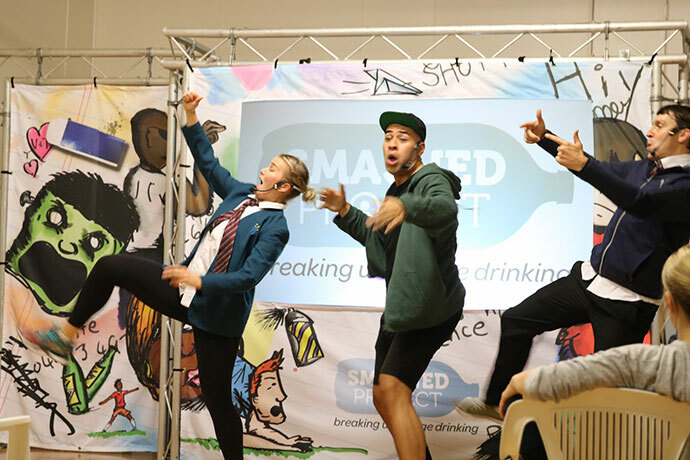 An innovative global theatre and education program has visited local schools in the hope of breaking the culture of underage drinking. Year 8, 9 and 10 students from Glenmore Park, Colyton and Erskine Park high schools took part in ‘The Smashed Project’. Company Director for the drama-based training group Gibber, Tim Watt, explained how the program helps students. 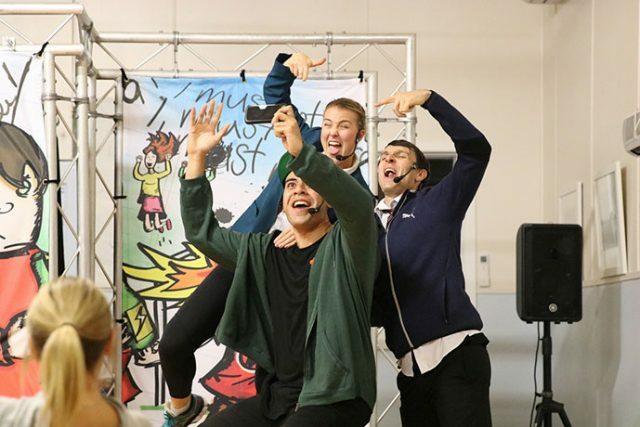 “We engage the young people in a highly entertaining dynamic theatre show which is about 30 minutes long, then the actors work with young people in the audience to look at what happens during the performance,” Mr Watt said. The program has been running in Australia for a year and has seen an increase in the knowledge and attitudes of students after the performances. 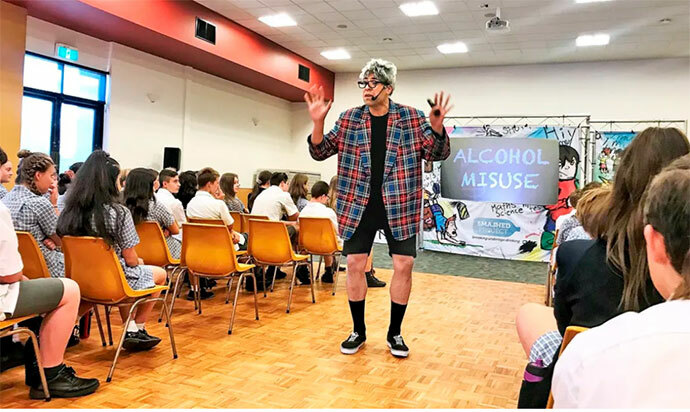 “One of the big things we have found is their knowledge of where to get help if they need that, so we promote the Kids Help Line during the performance so they know where to go afterwards and what to do and say if they are put in situations where they feel they are being peer pressured into drinking,” Mr Watt said. While government statistics say the rate of young people drinking is on the decline, Mr Watt said it was important to keep the message front and centre about the dangers of underage drinking. 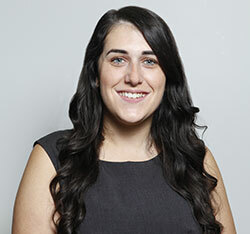 “We aren’t talking about long-term effects of alcohol like in 30 years but what can happen now on a night out that can affect them in their future career choices,” Mr Watt said.